Fleas are more than just a nuissance, they can make you and your family’s lives miserable. These blood-sucking parasites are capable of transmitting over a half a dozen different infectious diseases, including the potentially deadly plague causing bacterium. Even if you don’t succumb to disease, flea bites alone are enough to drive you crazy. Each time a flea bites into your skin, it draws blood while simultaneously injecting a small amount of allergenic saliva back into your skin. This saliva often triggers severe allergic reactions characterized by itching, swelling, redness and pain. But controlling a flea infestation isn’t as easy as releasing a fogger or spraying your carpet with an insecticide. These products may offer some initial relief, but the fleas will likely come back in full force just days later. In this post, we’re going to reveal some of the reasons why people fail to control their flea infestations. 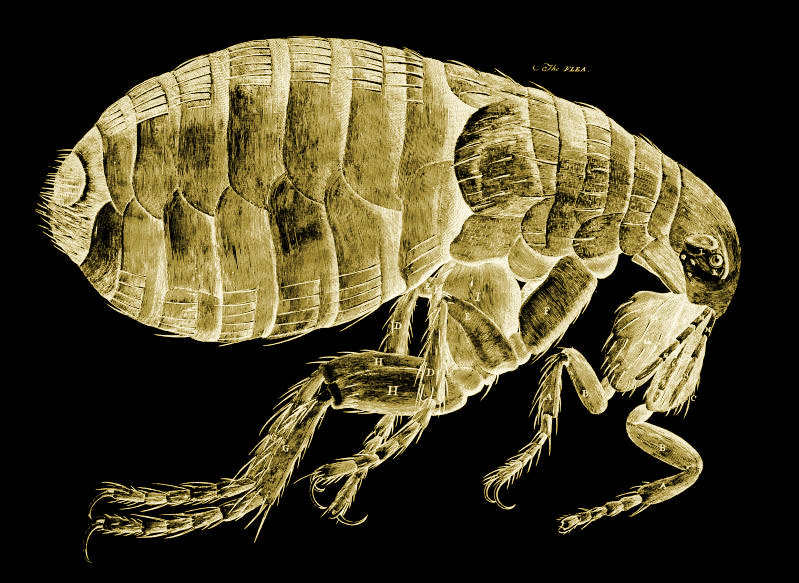 Several studies have found that the majority of a flea infestation (more than 95% of the population) remain hidden, whereas only 5% are visible on a host. So even if you pick off every single flea on your dog or cat, you’ve really only scratched the surface. Don’t assume that all of the fleas inside your home are stuck on Fido, because as this statistic reveals, most are hidden in the nooks and crannies where you can’t see them. Another all-too-common mistake people make when attempting to neutralize a flea population is squishing them. Whether it’s a cat flea, dog flea, human flea, oriental flea, or any other species, all of fleas posses a hard chitin shell that’s highly resistant to pressure. If you try to kill a flea but squishing it between two fingers, it will most likely survive, jumping away when you release. Flea collars are generally ineffective at exterminating fleas. Granted, they may ward off some of these blood-sucking parasites from your dog or cat, but they aren’t going to kill fleas and/or break their life cycle. For this reason, it’s best to avoid flea collars and stick with premium treatment products like FrontLine or Advantage. You can’t expect to exterminate the flea infestation without treating your home. Fleas prefer a hot, humid environment, so consider lowering your thermostat below 70 degrees Fahrenheit and installing a dehumidifier. Have any other flea treatment tips you’d like to share with our readers? If so, drop us a comment in the section below! Can I Treat Flea Infestations With Borax?